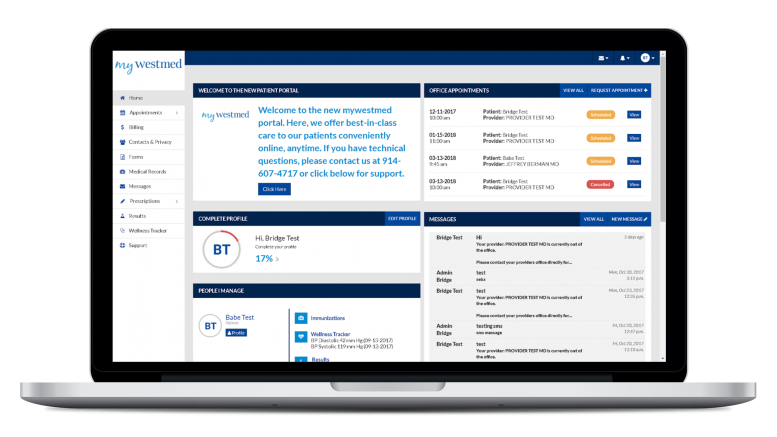 Bridge Patient Portal®, healthcare’s most robust and patient-centric enterprise patient engagement platform, is excited to announce the release of Bridge Version 2.0. Offering innovative new interface capabilities, patient self-service functionality, and patient engagement tools, Bridge Version 2.0 is an industry leader thanks to its rich user experience and functionality that has yet to be seen in vendor-neutral patient engagement solutions. Expanded GE Centricity™ Interface Capability: A bi-directional interface between Bridge Version 2.0 and GE Centricity™ Business / Electronic Medical Record. Advanced self-scheduling: With appointment viewing and appointment reminders. New native iOS and Android mobile app: Access to patient portal data and informational features through the new client-branded mobile app for better patient engagement. mHealth app solution provided by Universe mHealth. Special permissions for teenage users: Filters and rules to help protect teenagers’ sensitive clinical and appointment information from parents/guardians. Tasking center: Admin users can manage patient requests from one central tasking module. Secure messaging: HIPAA-compliant messaging with providers and staff, improving patient-physician collaboration. Two-Factor Identification & Knowledge Based Authentication (KBA): Protection against fraud during self-service registration and username/password resets. Eye prescriptions: Eyeglasses and contact lens prescriptions available to view and print. Bill pay and payment capability: Patients pay online or in the mobile app, and payment is posted to GE Centricity™ Business. In addition to the above mentioned new functionality, Bridge also supports features such as CCD-based health summaries, intake forms, clinical documents, care plans, patient education and more. Bridge is ideal for medium to large ambulatory groups, hospitals, health systems and Integrated Delivery Networks (IDNs). Designed to improve patient engagement, its new features help provider groups dramatically improve staff efficiency and patient satisfaction.